The Northern Ireland Human Rights Commission is delighted to announce the details of our Annual Statement Launch, which takes place on Thursday 8 December. 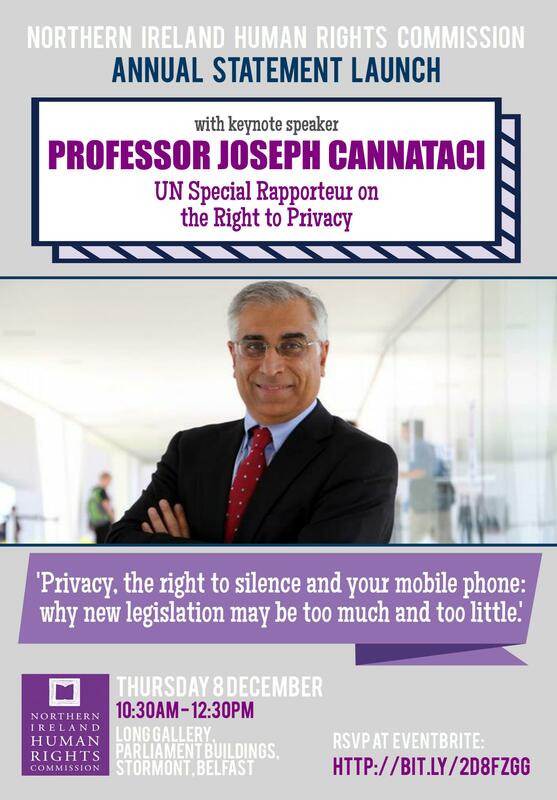 This year’s keynote speaker is Professor Joseph Cannataci, the UN Special Rapporteur on the Right to Privacy, and he will speak on ‘Privacy, the right to silence and your mobile phone: why new legislation may be too much and too little’. Following on from the success of last year’s launch, which welcomed journalist and Channel 4 presenter Jon Snow to Stormont, the Commission is anticipating a great amount of interest in Professor Cannataci’s address.